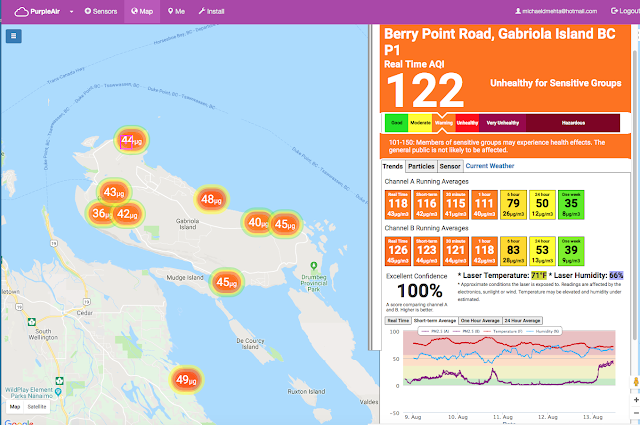 Here's another excellent example of how wood burning for home heating pollutes a neighbourhood. 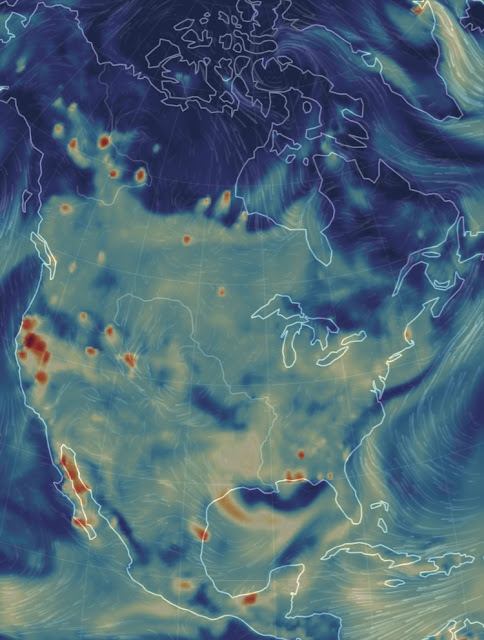 Look at how clean the air is in most other locations. 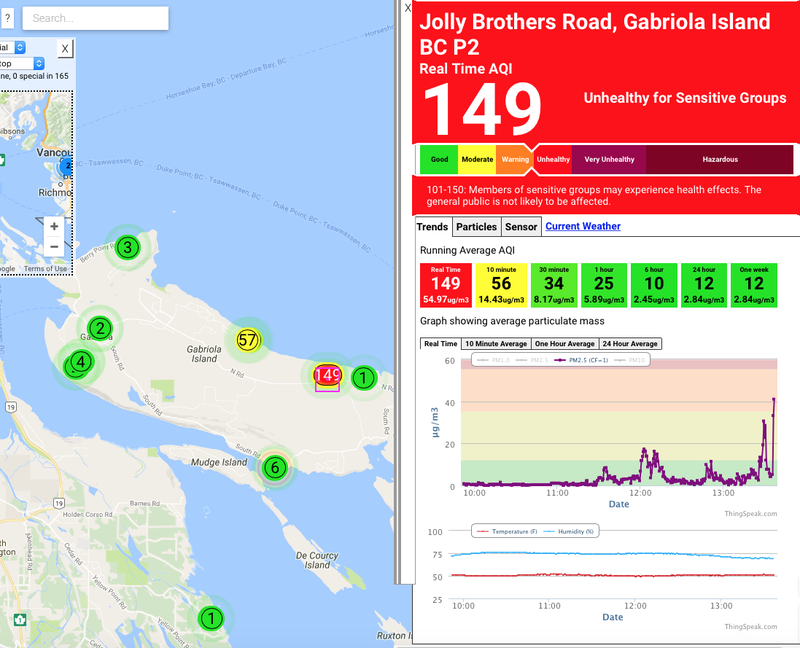 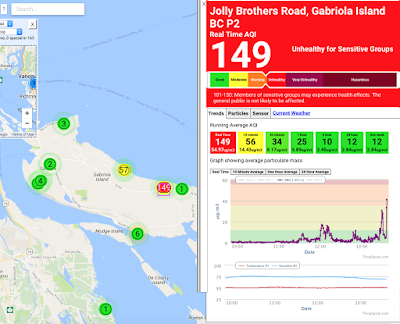 Our sensor on Jolly Brothers Road on Gabriola Island went into the hazardous zone, and the see-saw pattern is wood burning without a doubt.